View More In Slumber Bags. 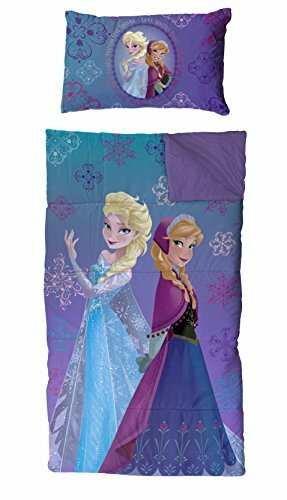 Sized just right for little ones, this Frozen Slumber Bag will be the center of attention at the next sleepover. Your child can take bedtime adventure almost anywhere with its convenient carry bag. The side zipper of this sleepover bag makes getting in and out easy. Star Wars Classic Slumber Bag is great for sleepovers, watching TV, Grandma's house and much more. Slumber bag measures 30" x 54" with easy to open/close zipper and 11" x 17" pillow. Easy to clean, machine washable polyester. Imported. Disney Minnie Mouse Pink 2-Piece Plush Slumber Bag and Backpack Set, 30" x 54"